What is Augmentative/Alternative Communication (AAC)? AAC is the term used to describe any form of communication that a person can use that is not speech. This may include pointing to pictures of what the person wants, using sign language, or using a device that will speak a message when a specific button is pushed. When Should AAC be Considered for a Child? 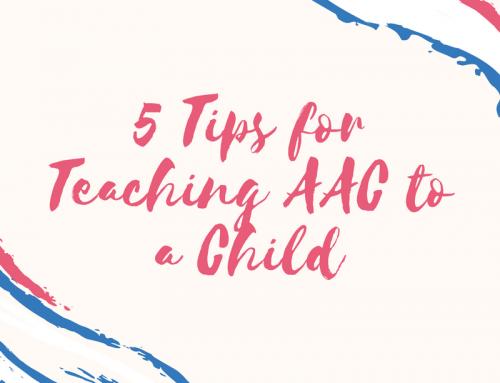 AAC should be considered for any child when his/her speech output is not adequate to communicate everything that the child wants/needs to communicate. 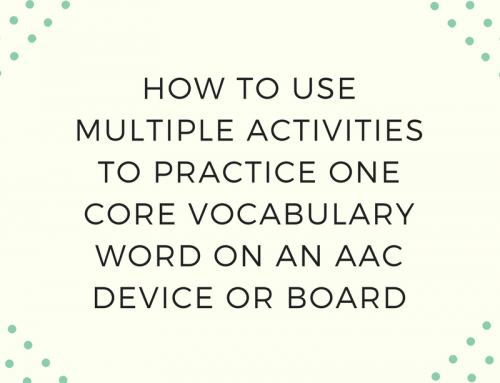 What Prerequisite Skills Does a Child Need Before Trying AAC? If nothing else, just pick something that seems suitable and give it a try with a child. You won’t know if it will work until you try. Many states and organizations have lending libraries that will help you decide if a device or system is right for a child. Make it as natural as possible. Think of it as similar to how you would encourage a late talker to talk. To write a goal for AAC use, think about what goal you would set for the child if he was using speech instead of the device/system. 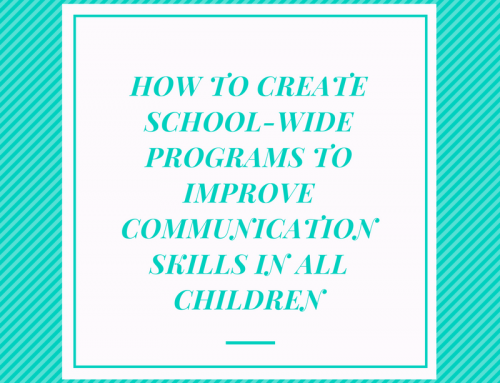 Write goals for what the child will communicate, not for specific AAC use. Child will use single words to request foods during snack time, using spoken words, sign language, or an AAC device. Child will answer “who” questions by indicating the correct person using spoken words, sign language, or an AAC device. Child will create three-word utterances using an “I want…” carrier phrase through use of spoken words, sign language, or an AAC device. Child will push buttons on his AAC device to request. 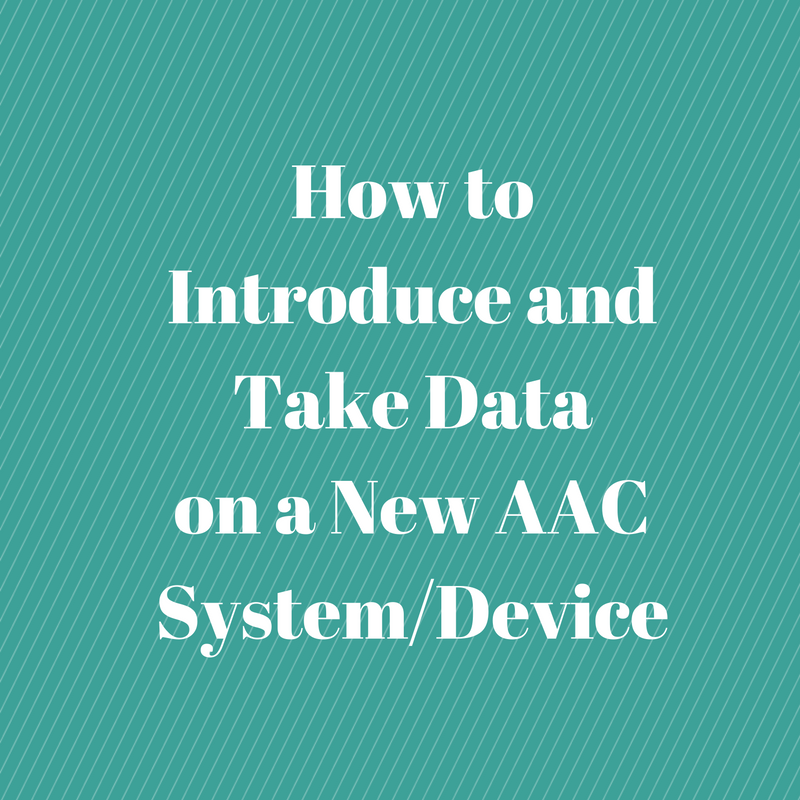 Child will use his AAC device during circle time. Child will answer yes/no questions using his AAC device. Child will find buttons on his AAC device when requested by the therapist. Child will hand a picture to the therapist during PECS training. The method you use will depend on the type of goal you write and how you prefer to collect data, but this can be used to help you easily track if the child is making progress toward that goal. Hi Carrie, I was trying to open the AAC cheatsheet that I signed up to get in my email. I have the email but the sheet when I try to open says 50% complete but never downloads. Hi, Laura-We just emailed you a copy of the cheat sheet. Please let us know if you need anything else.